INGLIS, JOHN, Church of England bishop; b. 9 Dec. 1777 in New York City, son of the Reverend Charles Inglis* and Margaret Crooke; m. 31 Aug. 1802 Elizabeth Cochran (Cochrane) in Windsor, N.S., and they had eight children; d. 27 Oct. 1850 in London. After the British evacuation of New York in 1783, John Inglis accompanied his father and two sisters to England. He returned to North America in 1787, on Charles Inglis’s appointment as the first bishop of Nova Scotia. An only son, Inglis enjoyed the doting attention of his widowed father, who always entertained nepotic ambitions for him. He received his education in Windsor: he was the first registrant at the academy established there in 1788 [see William Cochran*] and subsequently studied for five and a half years at King’s College, where he pursued “with distinguished success, a course of liberal instruction, as well in Classical learning, as in Philosophy, both Natural and Moral.” In 1798 he became his father’s private secretary and two years later made his first extended trip to England. He was especially charged with purchasing books for King’s College library and furthering his father’s plans for securing financial support for new missions. He also sought to improve his own prospects through contacts with bishops and aristocrats. The archbishop of Canterbury was sufficiently impressed to recommend him for an Oxford ma in 1801. On his return John was ordained by his father as deacon on 13 Dec. 1801 and priest on 27 June 1802. He was appointed missionary to Aylesford, formerly part of John Wiswall*’s mission, which was near Clermont, the Inglises’ Annapolis valley estate. At the same time the bishop arranged for John’s appointment as his official secretary and as his ecclesiastical commissary, a modest equivalent to an archdeacon. He continued in these offices until 1816, returning to England in 1806–7, 1812–13, and 1816 on behalf of the colonial church and his own career. His talents were widely acknowledged but his lack of seniority, to say nothing of his familial relationship to the bishop, spoiled his chances of becoming suffragan in 1812 when his father was largely incapacitated by a stroke, and bishop in 1816 on his father’s death. Instead he succeeded to the rectorship of St Paul’s Church, Halifax, on Robert Stanser*’s elevation to the bishopric. There he acquired a reputation as a devoted pastor and captivating preacher. He was known to all social classes, being a faithful visitor to the poor of the parish and an erudite chaplain to the House of Assembly. As “confidential adviser” of his father and “efficient substitute” for Stanser, who returned permanently to England in late 1817, Inglis supervised the diocese during the quarter-century preceding his own installation as third bishop in 1825. One of his main preoccupations was King’s College. Shortly after his first journey to England on behalf of the college in 1800, the institution was chartered and endowed. Although Inglis agreed with his father that the college’s principal function was that of a theological seminary, one of the objects of his visit to England in 1806–7 was to promote a revision of the statutes in order to open it to non-Anglicans. He was successful: the statutes were amended so that subscription to the Thirty-nine Articles was made a condition for the award of degrees but not for entry to the college. He also persuaded the Society for the Propagation of the Gospel to establish scholarships at King’s for the sons of missionaries. The financial and administrative misfortunes of the college during the 1810s became a cause of great concern to Inglis. At the same time the church’s monopoly of higher education seemed to be threatened by the Presbyterians’ fledgling Pictou Academy [see Thomas McCulloch] and by what Inglis called the “quite needless and romantic” interdenominational college in Halifax conceived by Lieutenant Governor Lord Dalhousie [Ramsay]. 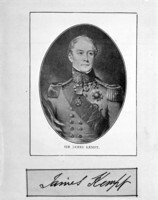 After his appointment to the board of governors of King’s in 1821, Inglis was charged with another major campaign for scholarships, chairs, and capital costs – “a begging scheme,” according to Lieutenant Governor Sir James Kempt* – which he conducted by circular letter in England. Its failure led to the first of many attempts to unite King’s and Dalhousie College. 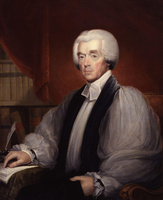 Inglis supported the union but it failed to impress the archbishop of Canterbury, who as patron had the final word on any matter relating to King’s. While Inglis was campaigning for King’s, the students, including those destined for the church, were being educated in what one observer described as a “nursery of Fanaticism.” Evangelical and Calvinistic influences within the church generally were to plague Inglis’s whole career. Both Calvinism and tractarianism in moderation were acceptable to him as a churchman; his objections were more political than doctrinal. He believed that if the church was to retain its pre-eminent position in the diocese in terms of rights and privileges, it must present a united front to its critics. There was no room for party within it, since, as he frequently claimed, “if our little number is divided our usefulness will be woefully abridged.” He also maintained that “a good son or daughter of the Church will readily obey every direction which has been enjoined by her authority,” whether or not “there was sufficient reason for such direction.” Distrustful of his own judgement, as he confessed in 1830, he found it easy to determine the official church line: what the English bishops collectively approved or disapproved became his standard too. As a result, he viewed suspiciously the evangelical societies associated with Exeter Hall in London. When the English hierarchy condemned the non-sectarian schools of the British and Foreign School Society and promoted instead schools organized by the National Society for the Education of the Poor in the Principles of the Established Church, Inglis responded by introducing a National school into St Paul’s parish in 1816 to compete with the Royal Acadian school, founded three years earlier by Walter Bromley. Inglis’s refusal to cooperate with other Protestants, to say nothing of his failure to work with more broadminded churchmen in educational and charitable enterprises, created an unfavourable public impression at the very time that Anglican privileges were beginning to arouse resentment among rival denominations and leading colonial reformers. Undaunted, Inglis also openly opposed the British and Foreign Bible Society as a competitor of the Society for Promoting Christian Knowledge. He fostered local committees of the SPCK in order to counteract the impact of the Bible Society’s literature. His exclusivist position alienated those Anglican colleagues who were low church and to some extent ecumenically inclined, especially those who had been exposed to evangelical influences during their clerical training at King’s. Before 1825, however, the greater danger to the church seemed to come from without rather than from within. As he would do for the best part of 50 years, Inglis fought a rearguard action to preserve the privileges of the minority church establishment from the “tyranny of majorities.” At stake was the church’s monopoly of certain civil rights and state funds available for religious and educational purposes. In the area of civil rights, one of the most hotly contested issues was the Church of England’s claim to have an exclusive right to marry by licence. Inglis rejected any compromise. When St Matthew’s Church in Halifax requested the right for its clergyman, he allowed that this was an exceptional case because St Matthew’s belonged to the respectable, government-supported Church of Scotland. But “if the well marked line between the Established Church and any one body of Dissenters is once transgressed, it will be utterly impossible to find another equally plain between that one description of Dissenters and all the rest.” In 1819 the tory government in Britain agreed with Inglis and disallowed the colonial legislation which would have given dissenting clergymen the right to perform marriages by licence between members of their own congregations according to their own rites. Only in 1832 was the matter resolved in their favour. Inglis also opposed Roman Catholic emancipation from civil disabilities. In the celebrated case of Laurence Kavanagh* in 1822, he objected to the admission of a Roman Catholic to the assembly because of what he considered the unenlightened, illiberal principles of Catholicism. Like most Protestants of his day, he thought Catholicism regressive, complaining that “we have daily experience of the support of the most extravagant and preposterous doctrines of Popery among us, by fictitious miracles, which are as boldly asserted and as readily believed as in the darkest ages.” Towards the end of his life Inglis looked askance when St Mary’s College was launched in 1841 and a local Catholic hierarchy was recognized by government in 1849. 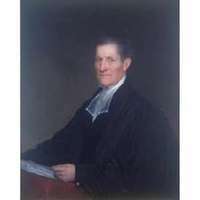 As an establishmentarian he even fought against the legal incorporation of dissenting and Catholic congregations, something which other churchmen, including his brother-in-law, Brenton Halliburton*, a member of the Council, were prepared to facilitate. As for the church’s financial privileges, Inglis sought to prevent non-Anglicans being accorded a right to share in the proceeds from glebe and school lands which had been reserved on the creation of the townships and augmented in 1813 by the addition of dean and chapter lands for the support of the bishop. As an estate-owner in the Annapolis valley, he knew enough about land values to appreciate that the revenue from the grants was prospective rather than immediate. He therefore felt that they must be preserved intact for the future funding of the church. In the period before reformers insisted on the assembly’s right to control crown lands, Inglis suggested that disguising church land as crown land might protect the church from the opprobrium of dissenters until there was enough income to excite public concern. With regard to the even more contentious issue of school lands, a test case occurred at Newport in 1821 when the school trustees, who had been accustomed to divide the proceeds among all the schoolteachers in the township, were requested to give them exclusively to the newly appointed SPG teacher. This matter remained unresolved for six years, by which time dissenters’ rights were accorded some small recognition, through continued representation on the board of trustees, in what was otherwise an Anglican victory. Despite his unflinching establishmentarianism, Inglis commanded wide respect during his years as rector of St Paul’s. All that changed in 1825; the popularity he had built up within the church evaporated when he was elevated to the bishopric of Nova Scotia on Stanser’s retirement. Having secured his succession in England in 1824, which was formalized by a consecration on 27 March 1825, he arranged for his replacement at St Paul’s. Without consulting the congregation, who had always claimed the right to choose their own rector, he recommended to the crown the transfer of Robert Willis* from Saint John to Halifax, ostensibly on the ground that he was the most senior clergyman in the diocese. Inglis quite deliberately overlooked his own curate, the evangelically minded John Thomas Twining*, who emerged as the people’s choice. As a result, Willis was locked out of the church and a large portion of the congregation seceded, first under Twining’s tutelage but ultimately to gravitate to St George’s Church, the Anglican alternative in Halifax, the Baptist church of the Reverend John Burton, or the Methodist church. Chancery proceedings instituted to regain episcopal control of St Paul’s Church were abandoned only after Inglis arrived back in the diocese on 8 Nov. 1825. Twining was blacklisted and prevented from obtaining any further position for which the bishop’s recommendation was necessary. Inglis assumed the supervision of a diocese which included Nova Scotia, New Brunswick, Prince Edward Island, Newfoundland, and Bermuda. Within five years, during which he made regular episcopal tours, he realized that the task was beyond the capabilities of one man. Though aided by four archdeacons – Willis in Nova Scotia and Prince Edward Island, George Best* in New Brunswick, George Coster* in Newfoundland, and Aubrey George Spencer* in Bermuda – he worked for the subdivision of the diocese. This was achieved with the appointment of Spencer as bishop of Newfoundland and Bermuda in 1839 and John Medley* as bishop of Fredericton in 1845. 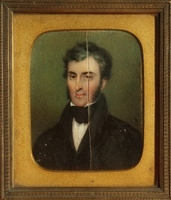 Louis Charles Jenkins was appointed ecclesiastical commissary for Prince Edward Island in 1842. 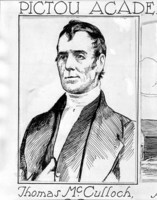 Inglis’s frequent visitation tours, which occupied most of the summer and autumn each year he was in Nova Scotia (he was in Britain in 1831 and again in 1837–40), were designed to inspire colonial churchmen, confirm adherents, consecrate churches and cemeteries, ordain clergy, and keep an eye on missionaries and teachers. He was also appointed to the council in each jurisdiction and was assiduous about consulting with the governors and leading citizens. No part of the diocese was neglected though he considered his two lengthy episcopal tours in Newfoundland and three in Bermuda totally inadequate. He particularly prided himself on the number of first visits to new communities that he was able to include each year. For a man who was much closer in temperament to an English aristocrat than to a colonial pioneer – he was described as “the most polished gentleman of his time” next to King George IV – the episcopal tours must have been a humbling experience. The visitations brought out an uncharacteristic degree of tolerance and flexibility in his nature. Appreciating the need for the church to accommodate itself to local customs and conditions, he condoned lay baptism and lay preaching in communities without clergymen. Moved by the mixture of poverty and industry, ignorance and piety he found in small communities and outports, he bent the rules to consecrate unfinished churches in missions where the people had done their best and he preached in the shells of buildings, in barns, in dissenting chapels, in schoolrooms, and on the decks of vessels. What little Inglis was able to do to alleviate the spiritual and educational destitution he witnessed on his travels was hampered by diminishing financial resources and inadequate human resources. The colonial church entered its most severe crisis in the 1830s. The financial foundations began to crumble, not so much because of attacks by dissenters but because of the marked change in British colonial policy when the economy-minded and broad-church whigs came into office. Under threat of the withdrawal by 1835 of parliamentary aid to the church directly and, through the SPG, indirectly, Inglis succeeded in guaranteeing the salaries of those clergymen already employed but for the future he had to look to colonial sources to supplement and ultimately replace government grants and SPG donations. Yet funding by the SPG remained the major source of both salaries and grants for church building during his episcopate. Unable to rely on the local governments, and in any case suspicious of the dissenters therein, Inglis still despaired of the lack of productivity of a land endowment, though he devoted gallons of ink to the discussion of the Church of England’s rights to glebe and school lands. Privately he advocated a general church tax, the proceeds of which might be allocated according to the denominational preferences of the taxpayers, but he knew that the only real option was voluntary contributions by the individual congregations. To this end, in 1836 the bishop proposed the establishment of the Diocesan Church Society, which soon spawned district branches throughout the diocese. The Church Society took over the SPCK’s function of distributing religious literature, encouraged spiritual instruction in destitute communities through the appointment of visiting missionaries, contributed to the church-building funds of poor settlements, provided help to theological students, and worked for the maintenance of a church school in each mission. Meanwhile King’s College continued to be a source of worry to Inglis. The college had finally been opened, without restrictions, to dissenters in 1829 but a second attempt to unite it with Dalhousie had again been thwarted by the archbishop of Canterbury. Much to Inglis’s chagrin, several of the ex officio positions on the board of governors of King’s had by the 1830s gone to dissenters, and King’s College, Fredericton, became a potential source of rivalry when it opened in 1829. With the proliferation of denominational colleges through the 1830s, Inglis decided in 1841 that “this playing at Universities is rather contemptible” and that the division of funds from the legislature into so many small portions was wasteful. At least one good result would accrue: “We shall be left in peace at Windsor.” The peace lasted only a few years. By the mid 1840s the SPG had to cut back on salaries and support for King’s College. Confronted with the additional likelihood of a reduced annual government grant to King’s, the ailing Inglis sent one of his clergymen to England on the college’s behalf in 1847 but it was an unsuccessful pilgrimage for funds. In 1846, 26 of the 37 resident clergymen who congregated in Halifax for a visitation had been educated at King’s, evidence of its critical role as the handmaid of the church. Despite the manifest shortage of clergy, Inglis would ordain only those approved by the SPG or graduates of King’s College, and his refusal of men sent out from Britain by other Anglican societies exposed him to criticism. Although many of the missionaries saw long service, Inglis also had to deal with periodic thinning of their ranks through forced resignations on account of poor physical or mental health, intemperate habits, misdemeanours, or revelations of immorality such as fornication, homosexuality, and uncanonical marriages. By the 1840s Inglis’s failure to halt both the erosion of Anglican privileges and the general tendency among Protestants towards cooperation on a whole range of religious and moral issues refocused his attention on rifts within his own church. One such conflict occurred over the Colonial Church Society, the evangelical Anglican organization which was designed to provide missionaries, catechists, and teachers for destitute British immigrants and which favoured a broad, cooperative approach with non-Anglicans. Originating in Western Australia in 1835, this British society turned to the diocese of Nova Scotia in 1839 while Inglis was in England and in the following decade extended its aid to 30 communities in the province. Because the society was unsanctioned by the Anglican hierarchy and duplicated the work of the SPG, flagging though that had become, Inglis refused to approve it and indeed went out of his way to undermine its efforts, especially after he had failed in 1841 to bring it under local episcopal control. His principal objection to the CCS was its independence of the SPG but he also worried that it might undermine the local initiatives he was trying to foster through the Diocesan Church Society. Inglis lost his battle against the CCS chiefly because it received the backing of prominent clerics and laymen. 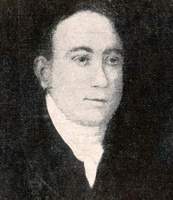 The leading supporter among the clergy was Robert Fitzgerald Uniacke*, rector of St George’s, Halifax. He was joined by Twining, the perennial evangelical thorn in the bishop’s side, William Cogswell, the curate at St Paul’s, and Jenkins, the senior clergyman in Prince Edward Island. When John Medley became bishop of Fredericton in 1845, the CCS enjoyed his sympathetic cooperation. The lieutenant governors of the Maritime colonies also patronized it, leaving Inglis peculiarly isolated on this issue. 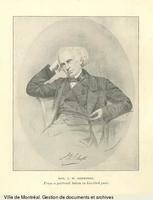 Preoccupied by diocesan matters Inglis kept his absences from home to a minimum and only his last visit to England, in 1850, was made on his own behalf. Nevertheless, given his metropolitan connections and social preferences it is fitting that Inglis should have died in England while seeking medical treatment. It is also fitting that his remains should have received a humble burial – he was interred in the family vault of Sir Rupert Dennis George, former provincial secretary of Nova Scotia, in St Mary’s churchyard, Battersea (London) – because he, like his father before him, did not concern himself about such things as an impressive cathedral or expensive monuments. The Inglis family never returned to Nova Scotia except for the eldest, mentally unstable son, Charles, a physician. His will bequeathed the family estates to King’s College and St Mary’s Church, Aylesford, but it was successfully contested on the ground of his insanity. The positive aspect of John Inglis’s personal legacy was a greatly expanded church, adjusting itself to local circumstances and learning by necessity to rely on its own resources. Despite Inglis’s exertions, however, it was a church much diminished in its official status and social influence. His death marked the disestablishment of the Church of England in Nova Scotia: his successor as bishop, Hibbert Binney*, received neither a British salary nor a seat on the Legislative Council, and King’s College lost its preferential grant. The loss of Anglican privileges was attributable not only to the democratization of colonial institutions and the gradual withdrawal of British support, but also to the suspicion and hostility that Inglis had aroused both at home and in England. His refusal to promote interdenominational cooperation, his failure to heal the breaches within colonial Anglicanism, and his preference for a heavy-handed episcopal approach made him, in the end, something of an anachronism in colonial society of the liberal reform era. Two collections of John Inglis’s papers have come down to us through his descendants. Microfilm copies of a collection which belonged to the late Sir John Inglis, a great-grandson of the bishop, are available in PANS, Biog., John Inglis letters, and in PAC, MG 23, C6, ser.4. A separate collection remains in the possession of Colonel John Inglis of Hope Bowdler, Eng., a great-great-grandson. Inglis is the author of the following works: A sermon preached in the parish church of St. Paul, at Halifax, on Sunday the 11th of June, 1815, after the funeral of Mrs. Mary Stanser . . . (Halifax, 1815); A charge delivered to the clergy of his diocese, by John . . . bishop of Nova Scotia, at Halifax, in August, 1830; at Bermudas, in May, 1830, and at Fredericton, New Brunswick, in August, 1831 (London, 1831); A sermon preached in the cathedral church of St. Paul, on Thursday, June 11, MDCCCXXXI, at the yearly meeting of the children of the charity schools in and about the cities of London and Westminster (n.p., n.d.); Sermon preached in the parish church of St. Paul, at Halifax; on behalf of the Incorporated Society for the Propagation of the Gospel in Foreign Parts, on the 19th February, 1832 . . . (Halifax, 1832); The judgment seat of Christ; a sermon, preached on board his majesty’s ship, “President,” in the harbour of Halifax, on Sunday, the 1st of November, 1835 . . . (Halifax, [1835? ]); Memoranda respecting King’s College, at Windsor, in Nova Scotia . . . by one of the alumni (Halifax, 1836); The claim of the Society for the Propagation of the Gospel, upon all members of the church; a sermon (London, 1840); Journal of the visitation of the diocese of Nova Scotia, in New Brunswick, in the autumn of 1840, by the right rev. the lord bishop of Nova Scotia . . . (London, 1841); A journal of visitation in Nova Scotia, Cape Breton, and along the eastern shore of New Brunswick, by the lord bishop of Nova Scotia, in the summer and autumn of 1843 (3rd ed., London, 1846); and A journal of visitation through the south-western portions of his diocese, by the lord bishop of Nova Scotia . . . [1844–45] (2 pts., London, 1846–47). NLS, Dept. of mss, mss 2265–505, 2568–608, 3022. PRO, CO 217/98–99, 217/102, 217/140–47, 217/151–55, 217/158–59, 217/161, 217/163, 217/165, 217/167–68, 217/171–73, 217/176, 217/178–81, 217/184–85, 217/194, 217/202; CO 218/30. RHL, USPG Arch., C/CAN/NS, 9–11; Dr Bray’s Associates, minute-books, 1835–45; journal of SPG, 28–46. Univ. of King’s College Library (Halifax), Univ. of King’s College, Board of Governors, minutes and proc., 1787–1851; corr. relating to King’s College. J. C. Cochran, A sermon in reference to the death of the Right Rev. 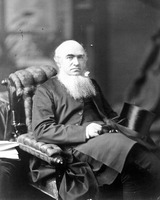 John Inglis, bishop of Nova Scotia (Halifax, 1850). Colonial Church and School Soc., Annual report (London), 1841–51. Diocesan Church Soc. of N.S., Executive Committee, Report (Halifax), 1839–50; Report of proc. (Halifax), 1839–50. Halifax Assoc. in Aid of the Colonial Church Soc., Annual report (Halifax), 1848–51; Formation and proceedings (Halifax, 1847). Christian Messenger, 29 Nov. 1850. Church Times (Halifax), 1848–51. Colonial Churchman (Lunenburg, N.S. ), 1836–40. Morning News (Saint John, N.B. ), 15 Nov. 1850. Susan Buggey, “Churchmen and dissenters: religious toleration in Nova Scotia, 1758–1835” (ma thesis, Dalhousie Univ., Halifax, 1981). A. W. H. Eaton, The Church of England in Nova Scotia and the tory clergy of the revolution (New York, 1891); The history of Kings County, Nova Scotia . . . (Salem, Mass., 1910; repr. Belleville, Ont., 1972). Judith Fingard, “The Church of England in British North America, 1787–1825” (phd thesis, Univ. of London, 1970). H. Y. Hind, The University of King’s College, Windsor, Nova Scotia, 1790–1890 (New York, 1890). C. H. Mockridge, The bishops of the Church of England in Canada and Newfoundland . . . (Toronto, 1896). H. A. Seegmiller, “The Colonial and Continental Church Society in eastern Canada” (dd thesis, prepared Windsor, N.S., 1966, for ACC, General Synod, Huron College, London, Ont., 1968). F. W. Vroom, King’s College: a chronicle, 1789–1939; collections and recollections (Halifax, 1941). Peter Burroughs, “Lord Howick and colonial church establishment,” Journal of Ecclesiastical Hist. (Cambridge, Eng. ), 25 (1974): 381–405; “The search for economy: imperial administration of Nova Scotia,” CHR, 49 (1968): 24–43. Judith Fingard, “INGLIS, JOHN,” in Dictionary of Canadian Biography, vol. 7, University of Toronto/Université Laval, 2003–, accessed April 24, 2019, http://www.biographi.ca/en/bio/inglis_john_7E.html.